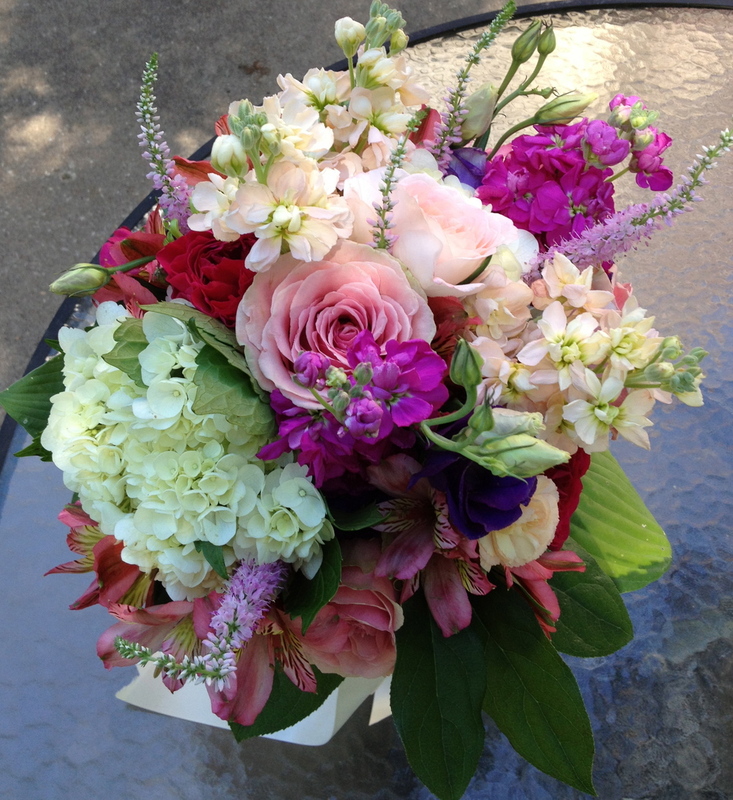 After our long, dreary winter, this spring was the season to add shimmer and sparkle to wedding flowers. Brooches, rhinestones, crystals - even a glimmer of spray glitter - enhanced bridal bouquets. There were 10 rhinestone brooches in this bouquet. 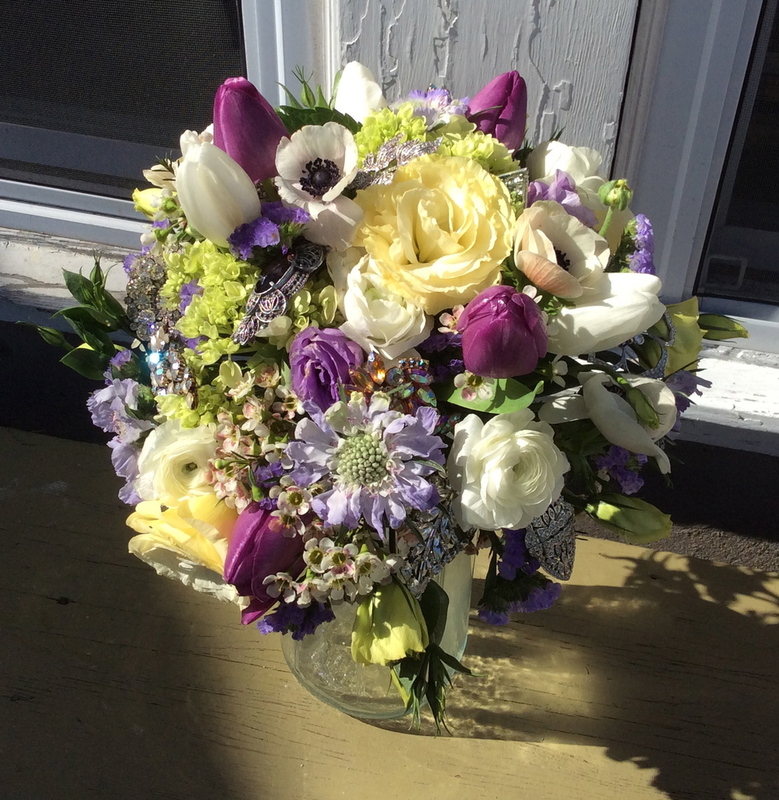 Their sparkle enhanced the lisianthus, scabiosa, ranunculus, anemones, hydrangea, and tulips that made this bouquet and ode to spring.. Roses, orchids and freesia get a little glam with the addition of rhinestones and a bejeweled wrap.